Ruby Slippers Trinket Box. 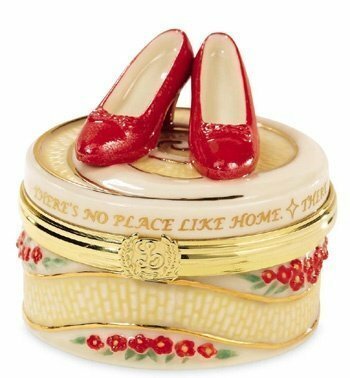 A lovely collectable ruby slippers trinket box. Wallpaper and background images in the オズの魔法使 club tagged: the wizard of oz classic film ruby slippers trinket box image. How pretty! I want it!